Limited vs. Full Registration: All pups are sold with limited AKC registration papers (pets), unless you specify that you would like the option to breed or show in conformation (Full Registration). They are STILL AKC registered if they are on a limited registration, their offspring just cannot be registered with the AKC. If acquiring Full Registration, please understand if we wish to have a say in your choice of dog if you are going to breed, to ensure only the “best of the best” are selected to influence this wonderful breed. We do also require a written contract for full registration, ensuring that any dog bred is being bred to the same standards that we breed. Reservations: Because our pups are in great demand, most have deposits on them and are sold before they are born or soon after. It is wise to reserve early after reviewing all of our kennel information and data on each particular litter. You may request pictures via email of the parents of each litter, and the pups. You may choose a litter, and color and gender of the pup. We require a non-refundable deposit of $495 when your reservation is placed (Visa/MC) and the balance (of course) is not due until the pup is picked up at 8 weeks. old. We schedule people to pick out their pup AT 8 weeks old in the order in which their deposit was received. 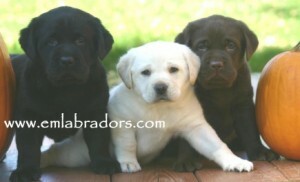 Please call ahead or email us for pricing on the particular litter you are interested in. Our “pets” may be priced slightly different than our “show dogs”. Once your reservation is placed, you will also receive emails including pictures of the litter every 2-3 weeks, so that you don’t miss out on this wonderful time. *NOTE We do NOT allow puppy buyers to visit the litter prior to the pick-up time, due to health concerns of the litter. This is why we are sure to “keep you in the loop” with regular pictures of your new addition! The deposit is refundable if what you reserve is not produced, or it is fully transferable to the next available puppy of your desire. Please enjoy the web site which was created to assist you with this all too important decision of adding a new family member. You will find information on how to go about choosing a breeder that is right for you as well as information on how to go about selecting a puppy, what we have planned over the upcoming months, what mommies are expecting soon, letters of reference, and many, many fun and exciting pictures.